Get help with your research by asking a librarian. A reference librarian is here to assist most hours the library is open. Develop strategies for searching library databases and the Web. Please visit a librarian at the reference desk on the 1st floor of the library. You may also call, email, text, or chat. If you woud like to make an appointment with a librarian, please complete a Research Consultation Request. 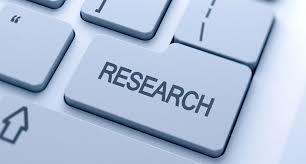 Also try our online research guides and class pages. If you don't see a guide, but would like one created on your subject. Please submit a Research Guide Request. Search the Dominican, I-Share, and WorldCat catalogs from the toolbar menu. You can also search for journals and articles. Just click on the star icon to see this menu. To get other menus, click on the highlighted text to see additional catalogs. Search any or using the right-click context menu. Anytime you come across text on the web you can search the library holdings for it. Just highlight the text, right click, and select the appropriate option. If you land on a page that asks for a login, right click to reload the page through the library’s proxy server to log in to the proxy server and save yourself having to go through the library website to get the article. The toolbar uses Google Scholar to search for articles and directs the user to the electronic copy subscribed to by the library. Select a citation, then drag-and-drop it onto the toolbar icon. You can use this feature even from inside a PDF file. References in Wikipedia will have "Check for Full Text" added on the page. Click on that to see if the library has the article. Websites where books are reviewed will usually include the ISBN. The toolbar changes ISBNs into links that will automatically search the library catalog. Zotero provides a free and easy-to-use citation management service. If you have questions about Zotero, a reference librarian would be happy to provide further assistance. You can also learn more about Zotero at one of our library Workshops.